Economy—overview: The economy is based largely on financial services, agriculture, and tourism. Potatoes, cauliflower, tomatoes, and especially flowers are important export crops, shipped mostly to the UK. The Jersey breed of dairy cattle is known worldwide and represents an important export earner. Milk products go to the UK and other EU countries. In 1996 the finance sector accounted for about 60% of the island's output. Tourism, another mainstay of the economy, accounts for 24% of GDP. 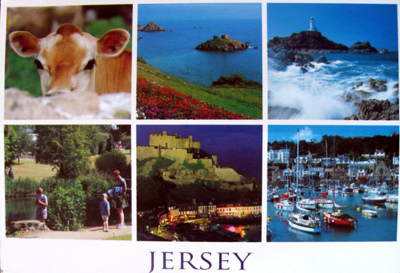 In recent years, the government has encouraged light industry to locate in Jersey, with the result that an electronics industry has developed alongside the traditional manufacturing of knitwear. All raw material and energy requirements are imported, as well as a large share of Jersey's food needs. Light tax and death duties make the island a popular tax haven. *Information obtained from the Central Intelligence Agency’s World Fact Book.